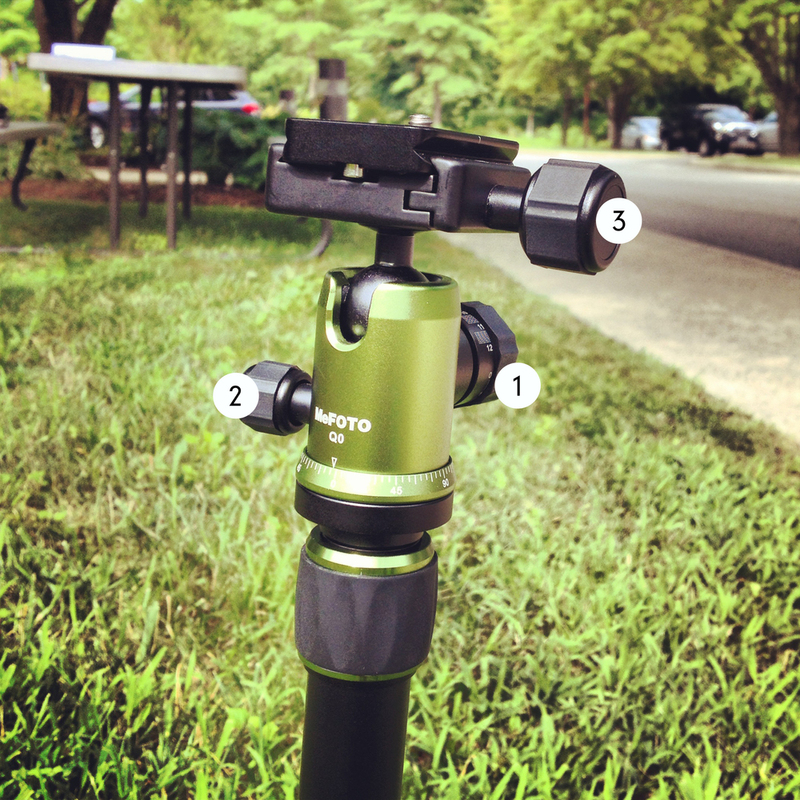 We hope this quick guide will help you understand all the features of your BackPacker tripod. If there's anything you still have a question about, shoot us a comment in the comments section below. #1 is called a Drag Adjustment Knob. This will loosen the ballhead up top so you can shift your camera around to the position you want. This is also how you can put your camera in vertical mode, when you push the ballhead into the groove on the side. Remember you need to tighten it afterwards so it stays in place. #2 is called the Panning Knob. It is the smallest knob on the side and when you loosen it, you can easily 'pan' the ballhead left and right in a horizontal movement. This comes in handy if you're taking panorama shots or shooting video and tracking your subject. #3 is the Quick Release (QR) Plate knob. Loosening this allows you to remove or tighten the QR plate onto which you mount your camera. This could also be where you're running into problems, if this is not tightened enough when your camera is attached to the QR plate it could also not stay in place. An alternate view of the BackPacker's ballhead. Tightening the Drag Adjustment Knob. The BackPacker has two grooves in each of its three legs that you can lock the legs into place with and get two different leg angles.